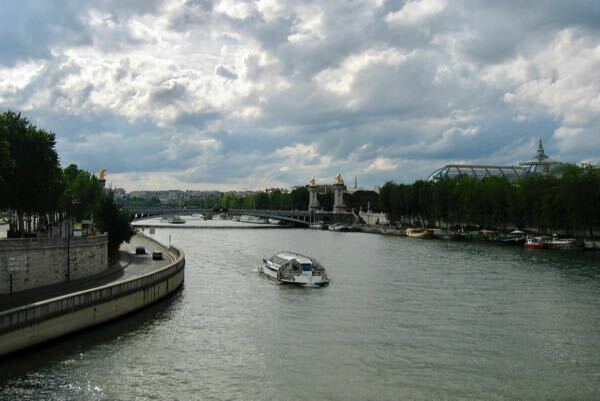 Watching these two French movies may inspire you to visit two Paris museums: the Rodin Museum and Maison Victor Hugo. It became my mission to go to the Rodin Museum after seeing the movie, “Camille Claudel” starring Isabelle Adjani and Gerard Depardieu. Sculptor Auguste Rodin was Camille Claudel’s instructor and he then hired her in 1884 and she became not only his assistant, but also his inspiration and lover. She never lived with him and eventually ended her tempestuous relationship with Rodin after 10 years. She wanted to make a name for herself and not be simply known as Rodin’s mistress. During her life and particularly after, she was seen as an accomplished, talented artist. Historians debate over who had influence over whom. 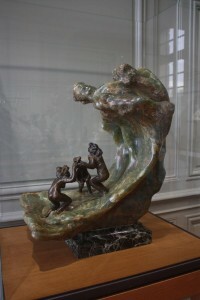 Both Rodin and Claudel were talented. Rodin produced much more work but this is partly because Claudel would become obsessive about her work and then destroy them. There is controversy as to whether she was mentally ill. In the early 1900s she was admitted into a psychiatric hospital for a period of time. She spent the last 30 years of her life in an asylum and while she destroyed many of her sculptures and drawings, about 90 survived. 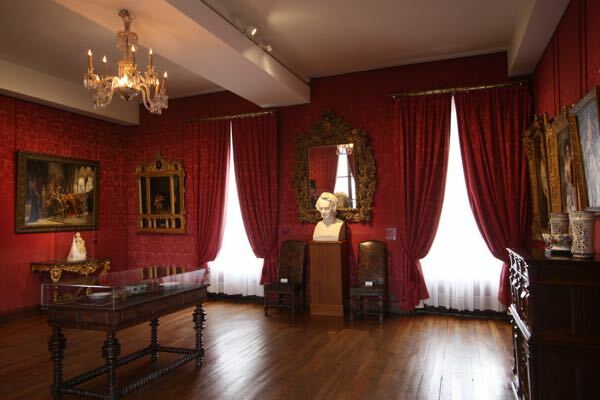 At the Rodin Museum many of her works of art are on display. The Rodin Museum is located at 77 rue de Varenne. Another movie about Camille Claudel called “Camille Claudel 1915” was made in 2014 and it starred Juliette Binoche. Once again Isabelle Adjani stars in this movie directed by Francois Truffaut about Adele Hugo, who was the daughter of famous French poet and novelist, Victor Hugo. The story is based on the notes from Adele’s diary about her obsessive, doomed love of a British officer with whom she had a brief relationship. She basically stalks him all the way to Halifax, Canada where he is stationed. Even when he confronts her and tells her to stop, she doesn’t. She does more and more bizarre things to get the officer to marry her and eventually sinks into madness and becomes destitute. It was filmed in Guernsey, Channel Islands, off the coast of St. Malo, France. 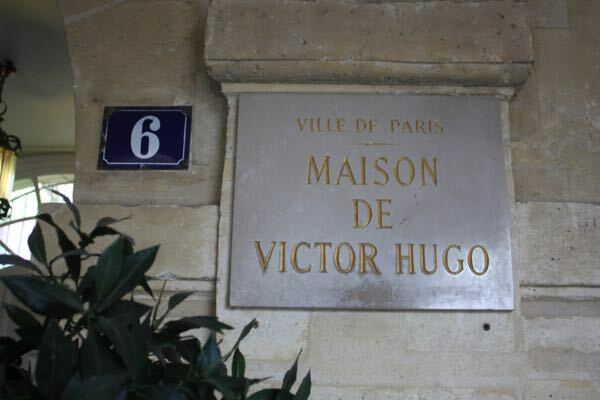 Maison Victor Hugo is located at 6 Place des Vosges and you get a glimpse into what Hugo’s life was like when he lived there from 1832-1848. Entrance is free but a donation is suggested. Be sure you get the audio guide. It will make the visit much more interesting. Are there any movies that have inspired you to visit a particular museum or place? Thanks for sharing true stories and how they relate to the experince. 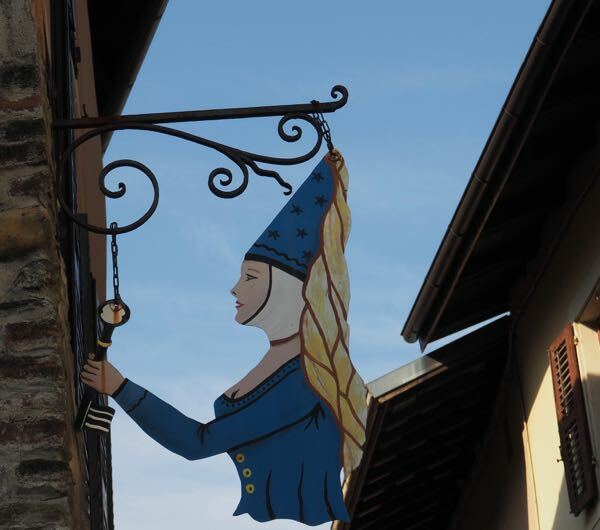 Love can drive us all mad! I should used that as the title of my post! Loved the post Jan. Neither movie is available on Netflix unfortunately. Will have to search them out. Interesting. Knowing some of the story of the people makes the museums even more interesting, although the story of both these women is quite sad. Yes, very sad. Think I’ll be on the search for museums with happier stories! I love the idea of looking at films together with museums or museum visits. In fact, I just saw an exhibit on Italian fashion from 1945 to 1968 at the NSU Art Museum in Fort Lauderdale and they had film clips that showed period fashion as presented in the films of Fellini and Antonioni. This is such an interesting perspective. I’ve seen these movies and relating them to the museums is terrific. Now I just need to actually visit these places. I’m trying to remember if I’ve been inspired to visit a specific museum because of a movie, but films have definitely inspired my travels. “In Bruges” comes to mind right away. While I appreciate museums more in person than in film- if I hadn’t been to the Philadelphia Museum of Art before Rocky, I would have gone just for the stairs. I spent a lot of a semester in high school in front of The Thinker at NYC’s Metropolitan Museum of Art. What a great piece of art! 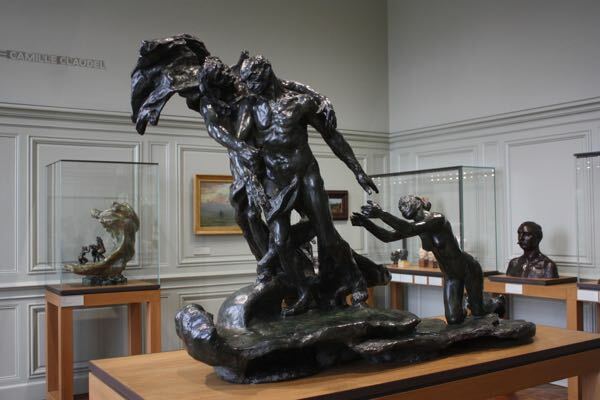 And, when you google “Rodin Museum” there is also one in Philadelphia. 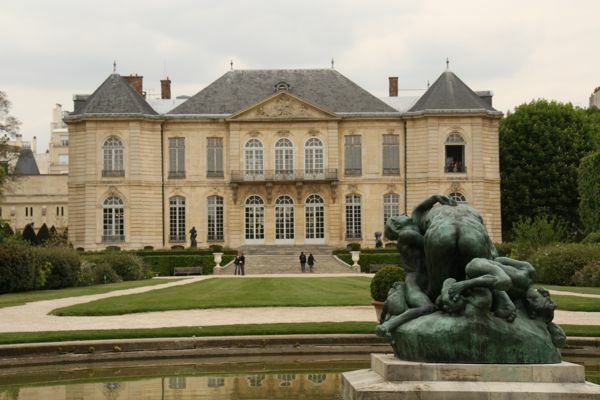 It contains the largest collection of Rodin works outside of Paris. I like to visit places that are associated with books I’ve read, but I can see that movies would be just as good an inspiration. Those stories would really be a way of bringing the museums to life. Yes, it really becomes a different perspective and does make the museum more interesting. Your post happened to hit on two creatives who I know and have respected for years. I’m a big fan of Hugo (actually read Les Miserables cover to cover before Russell Crowe got in on the act!) and a few years ago there was a huge news item about Rodin sculptures (or fakes) appearing just north of Toronto in a local museum. So your post hit two points of interest for me – well done! Wow, I didn’t know there were fakes just north of Toronto! Can’t believe I missed that news! Haha. Hope you enjoy the movies. Interesting! I don’t recall any movie that has made me want to visit a particular museum. Hmmmm. What interesting stories of women in love and despair…didn’t know about those movies! Yes, I have to see the museums, too! Love museums that have a bit of movie history behind them. Nice angle. I’ll look forward to visiting some of these via the movies, if not in person. 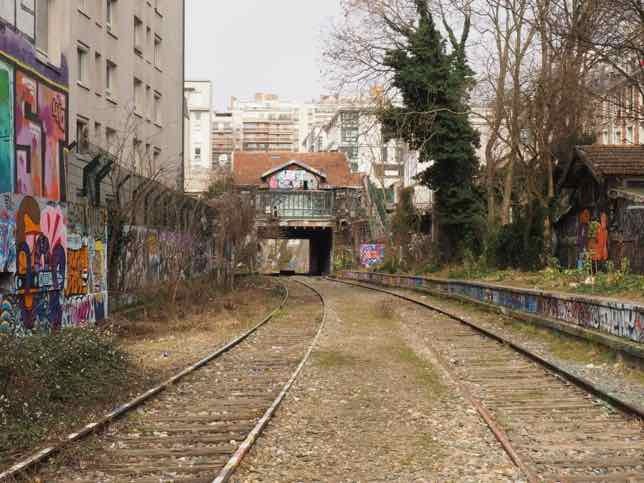 We love to watch movies about the destinations we’re traveling to but haven’t seen either of these yet. I love the Rodin Museum thanks for the movie tip we’ll have to check it out. Just keep in mind, they won’t be uplifting….but they will be interesting! I’ve gone places because books or movies got me interested but then I go anywhere for any reason it seems! These movies sound good – I’ll see if I can get them through the library system. I do wish so many of these sorts of stories don’t feature a mentally ill woman. I have a feeling some of the men associated with them may have had some issues too!